The Freedom of Expression Institute (FXI) urgently calls on the African National Congress to drop its court challenge seeking to ban a painting by artist Brett Murray. The FXI recognises that the painting in question has caused much hurt and offense to large numbers of people in the country. We also respect the right of the ANC to mobilise its constituency to publicly protest and show its disapproval at the public display of the image. But we cannot support calls for the banning of artwork, nor threats to the artist and gallery, nor any attempt to narrow the space artists have to do their work freely and critically. We greatly decry the fact that the City Press was targeted in this debacle in the way that it was since the paper had a very crucial right to report on the exhibition and painting in question. We condemn the alleged threats of violence directed against her and members of her staff. The City Press was a messenger in this instance. While readers are entitled to choose to buy or boycott a newspaper, a call to withdraw government advertising is a call to break the law governing government expenditure, which obliges it to be used in a neutral and cost-effective way and make it an offence to use it as a political weapon. We further call on the ANC to desist from demanding a further apology from the newspaper, as it was only performing its duty of informing its readers about what has turned out to be an art exhibition of great public interest. Given that the Goodman Gallery has also apologised for the hurt caused as a result of the public display of the painting, and has in fact removed the painting, we feel significant remedies have been extended by the parties concerned to address the hurt and offence caused. 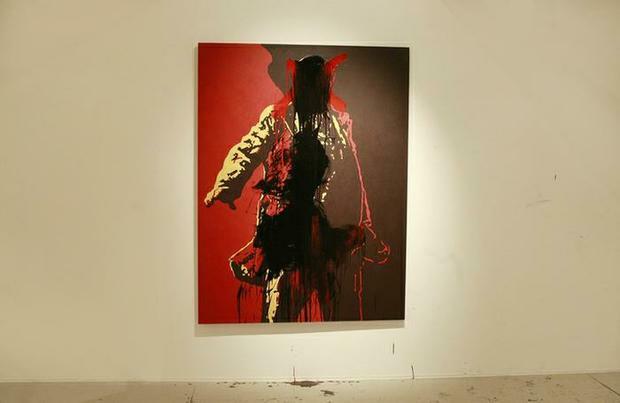 We urgently call on the ANC to withdraw its court action seeking to effectively ban the painting. While we understand that the rights to freedom of expression will continuously be contested in our democracy, the remedies offered above have shown that we also have the capacity to contest these rights through dialogue, negotiation and comprise. And what we will continue to work for is building a culture of tolerance to allow such debate to occur. The right to protest and the right to express unpopular opinions or produce unpopular and even offensive art are both freedoms of expression that we defend. Indeed, this is a far healthier route towards national building than resorting to the courts and emerging as either winners or losers over rights that we should all enjoy equally.